Presidents past and present together at IHS 48 in Ithaca. Standing, l to r: Randy Faust and Bill Scharnberg. Seated: Jeff Nelsen, Jeff Snedeker and Frank Lloyd. Their dedication to and vision for the IHS has brought us to where we are today. 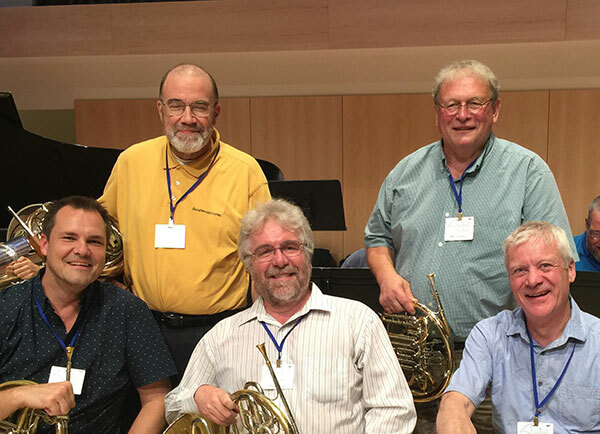 Please note that the years of service below indicate the years that each President was presiding over international horn symposiums; each term actually started mid year the year before that indicated below (at the end of the workshop).